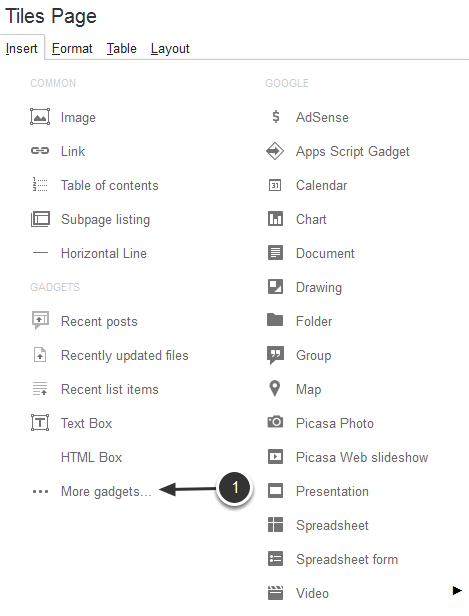 When you are editing your Google site, to the far right of the control menu is an "html" button for toggling directly into the html code. Now you should see an "Edit HTML" pop-up for entering your embed code. Either click on the code in the Embed Code text box and copy or just click the Copy Code button. Step 4: Paste the embed code into the Edit HTML pop-up. 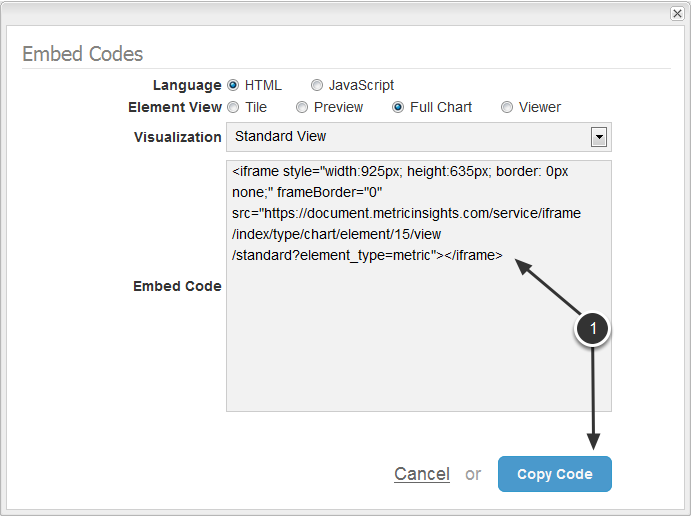 Zoom: Step 4: Paste the embed code into the Edit HTML pop-up. You should now be able to see a preview of your site! Warning: your code will now be unrecognizable!! Zoom: Warning: your code will now be unrecognizable!! If you go back to edit your site, Google will have messed with your code, as you can see above. So, sometimes it's better to use the native Gadget UI instead of trying to edit the HTML (see below). You will have to dissect the code in the Embed Code box to configure the Gadget. Copy only src section. Click OK and Save and again you should be good to go!